Please specify the size you wish to receive. Jewelry will fit 18 gauge piercings, but can also be worn through eyelets or hollow plugs. Small- Approximately 15/8" in length by 3" in length by 2 3/8" in width. These are copper that have been plated twice with 18 karat rose gold. 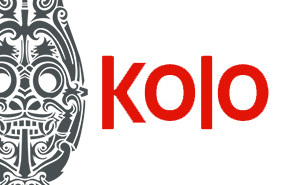 Kolo Piercing provides body jewelry for all piercings. Have a look at our wide selection of body piercing jewelry. From ear plugs to naval rings, we have the jewelry you are seeking. Our collection features high-quality body jewelry made from the best materials.